One of the most prominent examples of an asset that The Picerne Group controlled through its non-performing loan purchases was the 2.6 million sq. 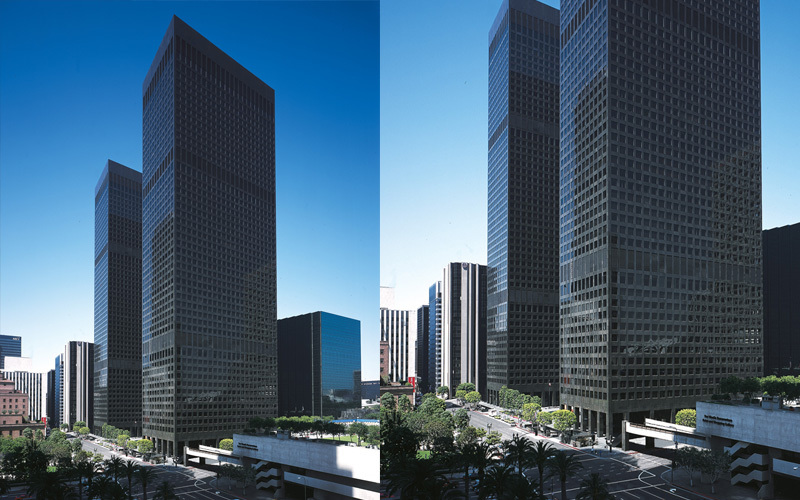 ft. Arco Plaza, a Class A office building in downtown Los Angeles (known today as the City National Bank Plaza). The Japanese non-performing loan market started to evolve in 2002, as the large money center banks in Tokyo were seeking to resolve problem loans with larger, long-standing clients. The banks wanted to address the loan issues and, at the same time, preserve these important client relationships. The outright sale of these loans to more predatory western investors would not serve both purposes. In late 2001, The Picerne Group recognized this evolution and positioned itself to be able to accommodate the “win-win ” goals of the banks and their clients. This was possible because The Picerne Group had already developed a reputation in Japan as a foreign investor that would act in a relational manner. Because of this reputation, The Picerne Group was asked to acquire a loan that had been made by a consortium of Japanese banks to a premier Japanese real estate company. The loan was secured by Arco Plaza. Thorny and complex negotiations between the banks and the borrower were resolved by The Picerne Group’s purchase of the secured loan plus additional corporate debt, coupled with The Picerne Group’s agreement to purchase the project itself.